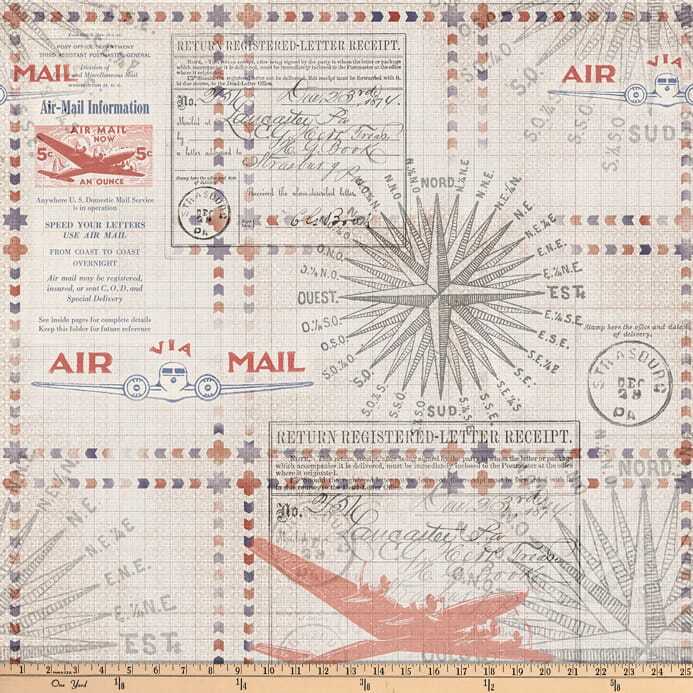 Tim Holtz Correspondence In Transit Red Fabric is rated 5.0 out of 5 by 1. 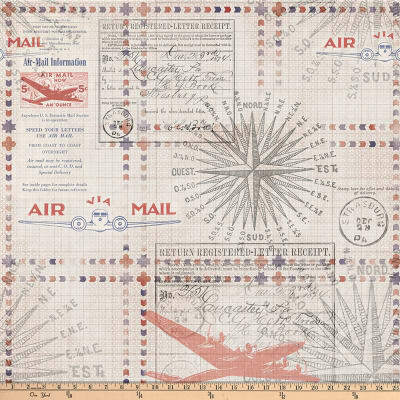 Description: Designed by Tim Holtz for Coats and Clark, this cotton print is perfect for quilting, apparel, and home decor accents. Colors include beige, grey, blue, red, and black. Rated 5 out of 5 by Stephenson from Love This Entire Collection What a great fabric. The large red plane spans about 10" from wing tip to wing tip. I'm making a great shopping tote for the postman's wife. What you see in the picture is exactly what you get. The colors have an antique feel which truly compliment the images on this fabric. 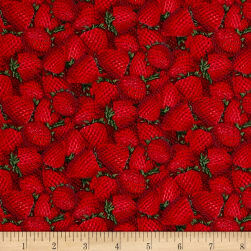 Description: Designed by Patty Reed for Fabric Traditions, this cotton print fabric features everyone's favorite summer snack: strawberries. Almost good enough to eat! 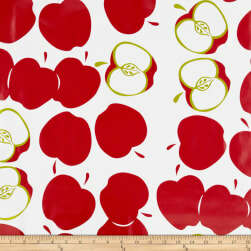 Perfect for quilting, apparel and home décor accents. Colors include red, brown, black and shades of green. Description: This medium weight fleece is super soft and anti-pill. It's perfect for creating jackets, vests, scarves, mittens, throws and more! Not intended for no-sew blankets. 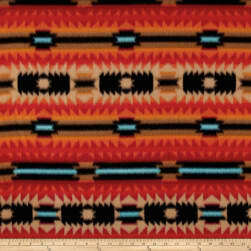 Colors include orange, red, dark orange, aqua, black, brown and beige.